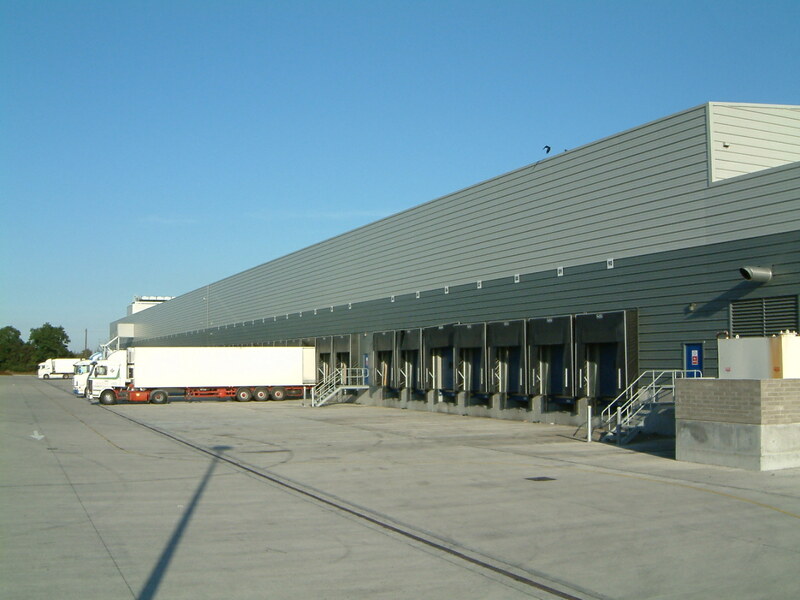 30,000m2 of warehousing comprising propped portal frame spanning 130m with an associated office building and returnable goods area. The main warehouse building was founded on conventional pad foundations, whilst the ground floor construction was sub-contractor designed to be ‘jointless’ over the full extent of the building. Freezer (-280C) and chiller areas (-50C) were constructed within the main warehouse, with all the structural supports to the associated panels and plant suspended from the roof structure. The project included some 84 dock levelers 1600 tonne of structural steelwork and 1.5km of precast concrete retaining wall construction.